Step back in time to the days of Merida’s elegant past. The old details such as hand-hewn beams and ancient hard-wood doors remain while all the modern conveniences have been seamlessly integrated for your holiday comfort. 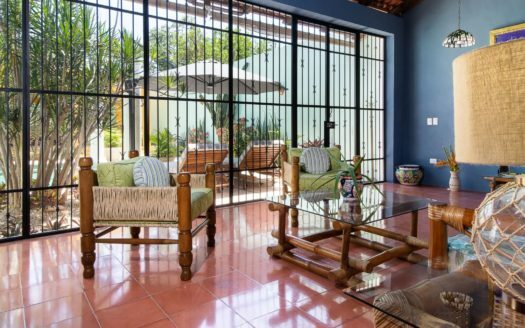 Two bedrooms with en suites plus a guest bath make this lovely Merida home a great choice for one or two couples. 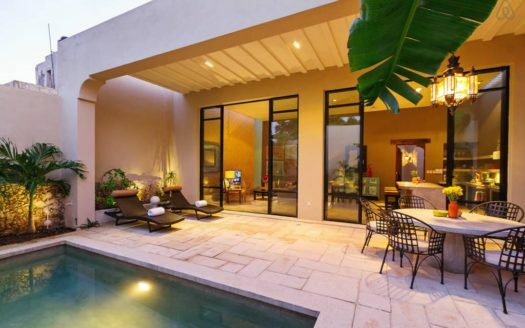 All rooms open onto columned passageways around interior courtyards in the hacienda style. 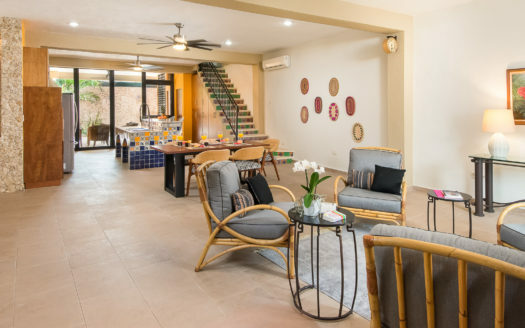 Enjoy meals in the first courtyard surrounded by songbirds and tropical vegetation or in the formal dining room where you will almost expect to see shy, Mayan peasants peaking in through the windows. Or watch the game or Netflix from the comfy sofa in the air-conditioned TV room. 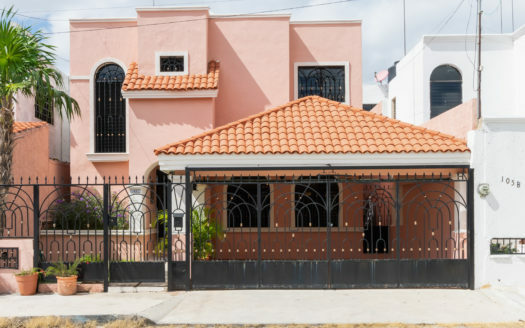 This is a truly historic Merida home where the style and soul of the past remain a tangible part of everyday life while the modern world intrudes only enough to provides all the extra desired comforts of luxury living. 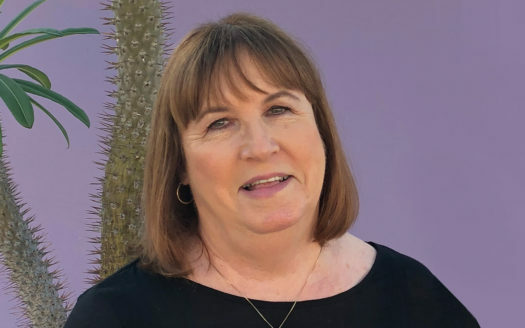 The gracious Yucatecan owners are the descendants of the original family and would love to share their love of their home and of their city with you. You will LOVE this vacation home!